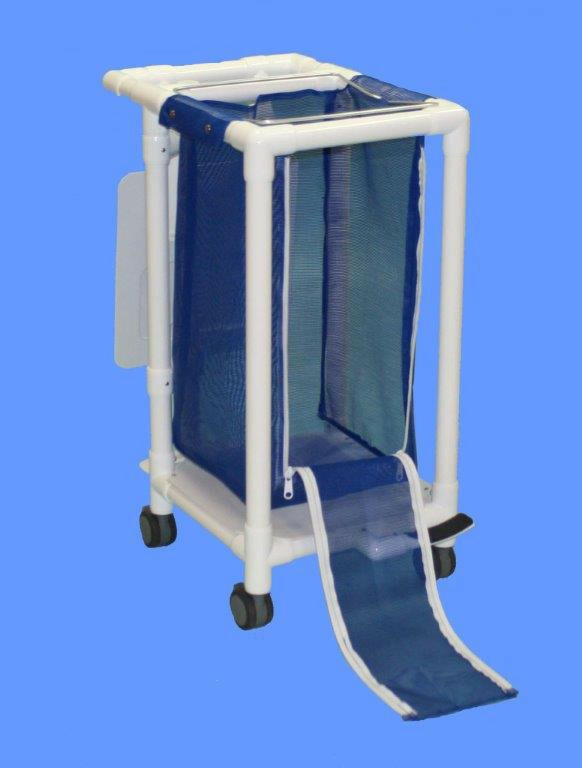 Keep the poolside clean and orderly with Aqua Creek Product's Hamper Cart. 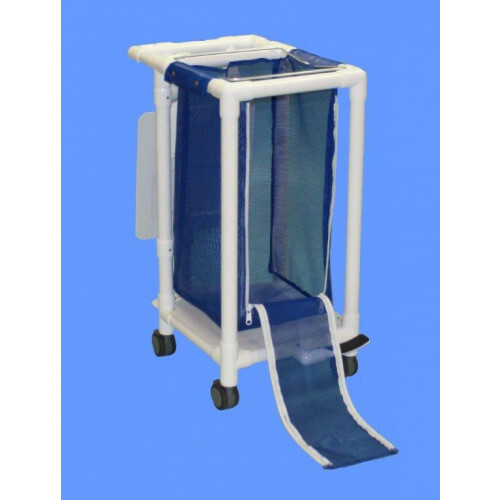 With a sturdy design, the health-care-grade PVC won't rust or stain and is easy to maneuver when loaded due to heavy duty 3-inch casters and a convenient push bar. The sanitary lid can hang behind the hamper, so you can place heavy or large loads without damage or obstruction. Under the lid, two wire bag holders secure even the fullest plastic bag, so you can avoid constant emptying. Vinyl mesh bags now feature double zippers that make it easier to remove the load.